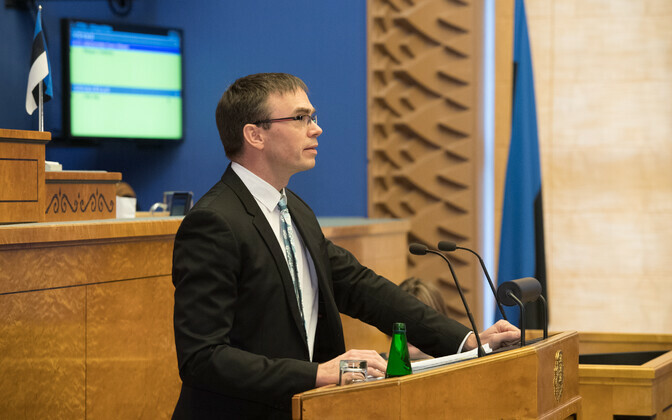 In his annual speech to the Riigikogu on foreign policy, Minister of Foreign Affairs Sven Mikser (SDE) on Tuesday outlined the challenges facing Estonian policy and highlighted solutions that would help protect and promote rules-based order as well as serve Estonian policy and security interests. "In addition to celebrating the centenary of the birth of the Republic of Estonia, last year we also marked the 100th anniversary of the Ministry of Foreign Affairs," Mr Mikser said according to a ministry press release. "Throughout the history of our state, it is the foreign service that has perpetuated our legal continuity. However, questioning the values of liberal democracy globally, in the European Union, and also here in Estonia continues to be a challenge." Commenting on the current security situation, he reassured his audience that the transatlantic security alliance remains strong. "The leading role of the US in ensuring NATO's deterrence and protection as well as their active contribution to European security continue to be necessary," the minister said. "At the same time, the call of the US for more equal burden-sharing should be taken seriously by European allies. Investing in one's security is the obligation of each state, and fulfilling these goals is the basis for a strong relationship of trust." On the subject of the EU, Mr Mikser said that 15 years of EU membership have increased Estonia's prosperity, welfare, and safety, however, the unity and fundamental values of the EU are under threat. "Populism based on lies and scaremongering that appeals to people's base instincts are some of the tools in the hands of those who oppose the idea of Europe," he warned. "The so-called illiberal democracy is hailed as an example, which essentially means an absence of democracy; European unity is contrasted with national sovereignty, forgetting that it is cooperation that increases the influence of small states." 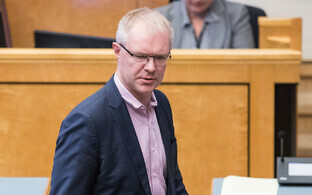 Common decision-making and policies amplify Estonian policies and economic development, he stressed. The foreign minister noted that the global map of threats is becoming increasingly complex, and highlighted Estonia's bid for a non-permanent seat on the UN Security Council among its foreign policy challenges. "When Estonia sees a threat in the erosion of the rules-based order, isolationism, and the enforcement of policies from a position of power, we have to join forces with other like-minded countries to try to thwart or at least neutralise these trends," he said. "This will only be possible through active contribution and participation." Mr Mikser also spoke of the importance of the EU's Eastern Partnership (EaP) programme and the need to participate more in discussions regarding the EU's Southern Neighbourhood, the union's future post-Brexit partnership with the UK, the active encouragement of free trade and Estonia's economic success, the digital dimension of foreign policy, and the national cyber defence system. Concluding his speech, the foreign minister said that Estonia's interests are best protected by the promotion of cooperation based on liberal values and rules. "A small democratic state will survive and prosper if it protects its values at home and abroad, and if it has allies who share these values and are also prepared to advance and protect these values together," Mr Mikser said. 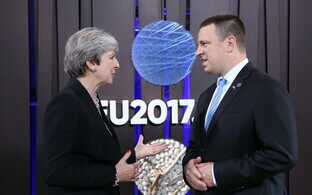 He stressed that all governments that have been in office following the restoration of independence in 1991 have strengthened Estonia's sovereignty and international standing by enhancing allies and partnerships, and expressed confidence that the next government would also put foreign policy at the service of Estonian interests as well as ensure the resources necessary for the successful functioning of the country's foreign service. Click here to read the full speech in English.